Opening a pet services business takes heart—a love for animals and a commitment to their health and welfare. But it also means that you’re a business owner who needs to protect your assets and plan for the “what-ifs,” making sure you’re as committed to covering your business interests as you are to caring for your clients (and their owners) who depend on you. Here, we’ll take a look at the typical insurance needs of pet service professionals. Pet service professionals face unique challenges when it comes to business liability in their day-to-day work. Not only do you need to make sure the animals in your care are kept safe and healthy while you’re serving them, but your customer-facing working environment needs to be safe too, for your employees and pet owners. With a few exceptions, these are risks all pet-focused businesses face, from pet stores and pet food makers to kennels and pet daycare facilities, not to mention groomers, trainers, and veterinarians. Coverage for these types of losses may not be offered under standard commercial business owner policies. You don’t want to discover any insurance gaps after the unthinkable happens. Are you prepared if a lawsuit is filed? If you are held financially liable for legal fees and damages, you could lose your savings and your business—everything you’ve worked hard to build. General Liability – to protect your business from injuries or property damage that occurs as the result of your pet services business operations. 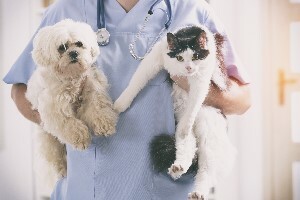 Pet Services Professional Liability – to cover for accidents related to the performance of your professional pet care services, such as grooming, boarding and obedience training. Commercial Property – to protect your place of business as well as the equipment and items you use to conduct business, such as kennels, crates, and training and grooming equipment. Business Income – to cover the loss of income in case you can’t run your business because of covered damage to your property. Animal Bailee – to cover for accidental injury, death or disappearance of animals owned by others while in your care at your business location, while in transit, or in a vehicle. Talk with your local independent agent to make sure your insurance program is providing sufficient coverage. Acadia’s Pet Services program provides specialty coverages to help pet services professionals manage the unique exposures of their business. To find an insurance agent near you, visit our agent locator.